Did you know that the colours you use most in your home can tell you about your personality? Currently as we rent we can't make any big changes to our home so we like to use colour to give our rooms personality in the form of accessories. This is the most easiest to do in our bedrooms, with bedding and other soft furnishings being the main focus and Julian Charles have some great options to choose from. I was recently sent an eBook as part of Julian Charles #ColourYourPersonality campaign that was full of interesting ideas about the colours we are drawn to and what they could say about us as people. The eBook also offers advice on how to style certain colours into your home. This is especially handy if you are planning on updating your colour scheme or just want to refresh your current colour scheme with new ideas. Blue is my favourite colour and the colour that we have in Blake's room. Blue is seen as a calming option and is seen to be a colour of a free spirit who prefers peace over hustle and bustle. This definitely sounds like the kind of person I am and Blake is very much the same. 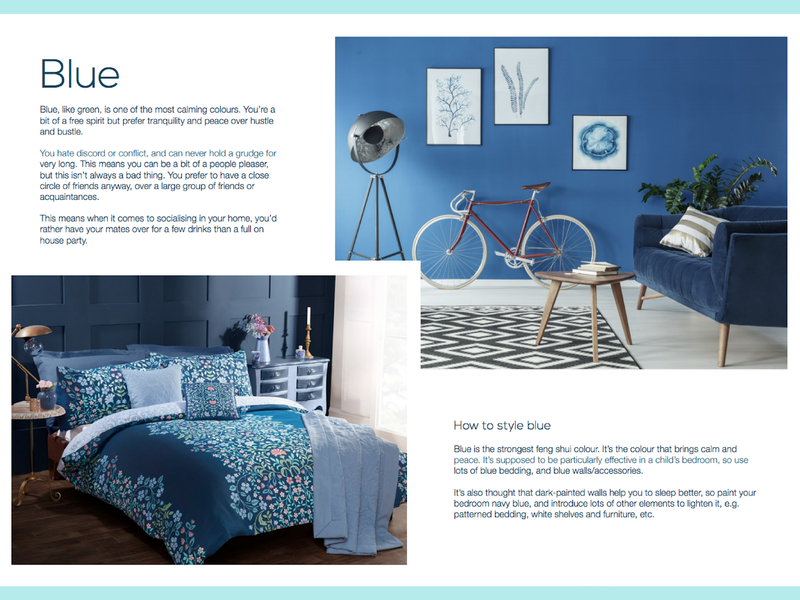 With blue being a calming colour it is also the strongest feng shui colour and ideal for children's bedrooms. We tend to use different shades of blue when it comes to accessories in Blake's room but if I could change the walls I'd go for a navy Blue as I like the whole space theme idea but also dark painted walls are meant to help you sleep better. 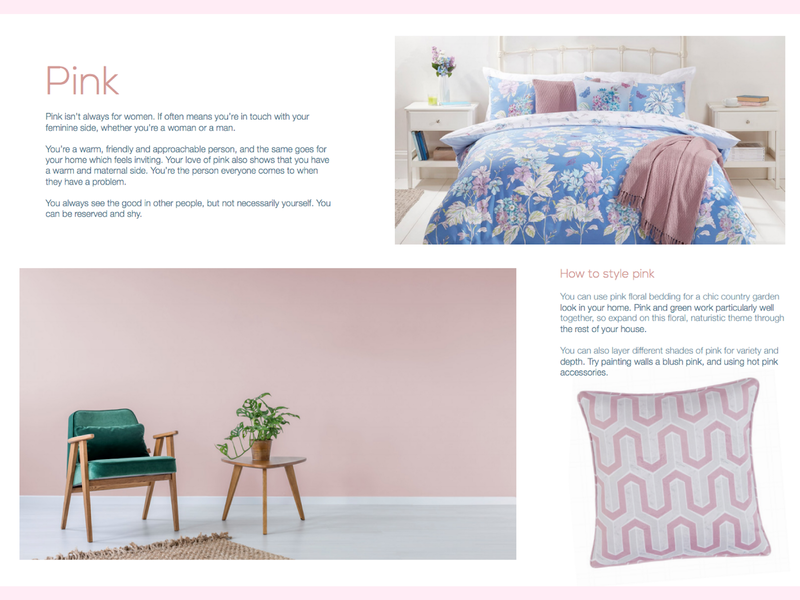 Another colour I like is pink but a blush shade rather than full on vibrant pink and its a colour I use a lot in mine and Stuart's room along with white when it comes to furniture and accessories. Our walls are a light brown which is not a colour I'd persionally choose for our own home, however the blush pink and white actually go well with it. Pink is seen as a colour of someone who has a maternal side and who is also friendly and approachable and can be reserved and shy. This again sounds like the kind of person I am so there is definitely something about colours matching your personality. Grey is also another colour I think looks great for bedrooms as its such a versatile colour and you can mix up a range of different shades and tones in your room. My sister uses grey in her home and its seen as a reliable colour for someone who is calm and likes to be in control. I definitely think my sister is this kind of person. What colours do you tend to use in your home?